The Oklahoma defense has been a hot topic of late (and by “of late,” I mean “for years now”). After several seasons of porous defenses, defensive coordinator Mike Stoops was let go after the Texas game in October. 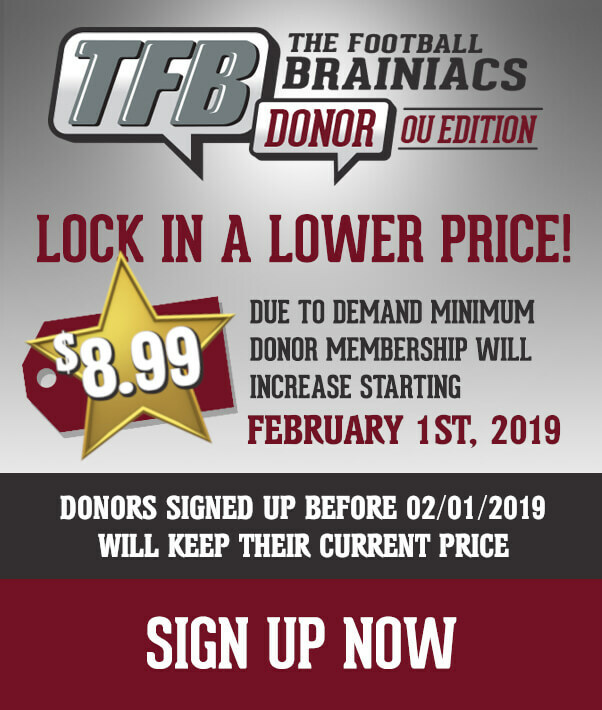 Despite a change in leadership, the defense did not improve much statistically; flashes of improvement, such as in the Big 12 Championship, were quickly forgotten after the next disapointment. Fans and media members alike tend to differ on the root of the defensive struggles. Some point to the coaching staff, some point to the scheme, some point to the perceived lack of talent, and still others call it a mixture of all three. So which is it? Well, I (and several other TFB writers) believe that the talent is decidedly not the issue. Could just about every program in the nation improve their defensive talent? Well, maybe not Alabama or Clemson, but most other schools could always use more talent. With that said, talent has not been the limiting factor in the defensive performances of the past several years. 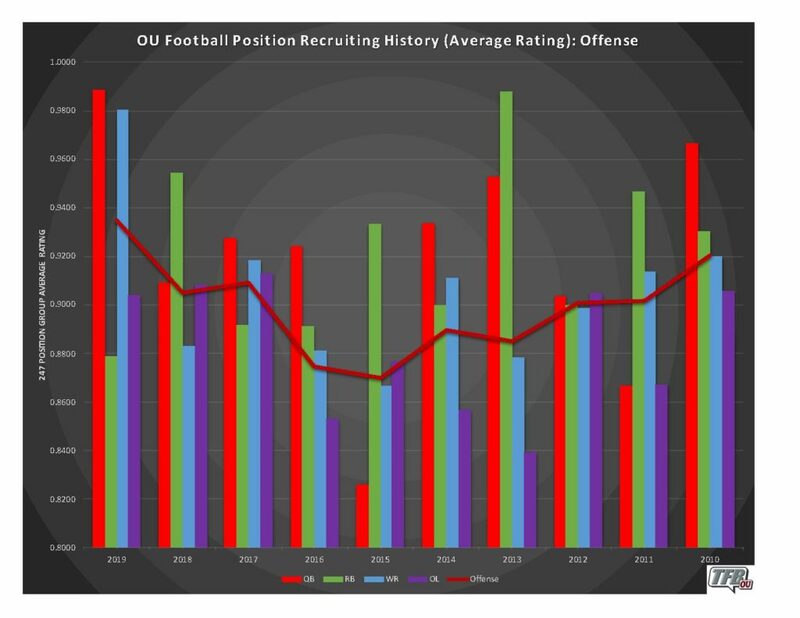 To dive into this topic, below are a series of charts that show the last ten seasons of recruiting for the Sooners. – This data uses 247 listings for enrollees in each class (in the case of 2019, signees are included as well). Therefore, any transfers in or out of the program, along with walk-on players, are not factored in. – The charts shows the player rating as a recruit. For example, Jadon Haselwood currently has a composite rating of 0.9975. – Recruiting classes from 2010-2019 are included. – The charts break down recruiting into position groups and side of the ball. The average rating of each position group is taken from all ten years of data. – Each position group gets its own column, while the average of the entire side of the ball (offense or defense) is shown as a solid line. 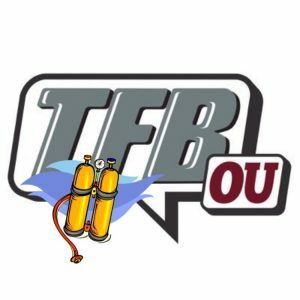 – If a player ended up at a different position for the majority of his career at OU than he was listed as a recruit (i.e. Eric Striker at LB instead of S), then he is included in the position group he played in. – As this analysis was just looking at offense and defense, special teams players are not included. – The wide receiver category includes tight ends, while the running back category includes full backs. If the picture is hard to see, open in a new tab. At first glance, there seems to be a huge difference in the offense and defense. 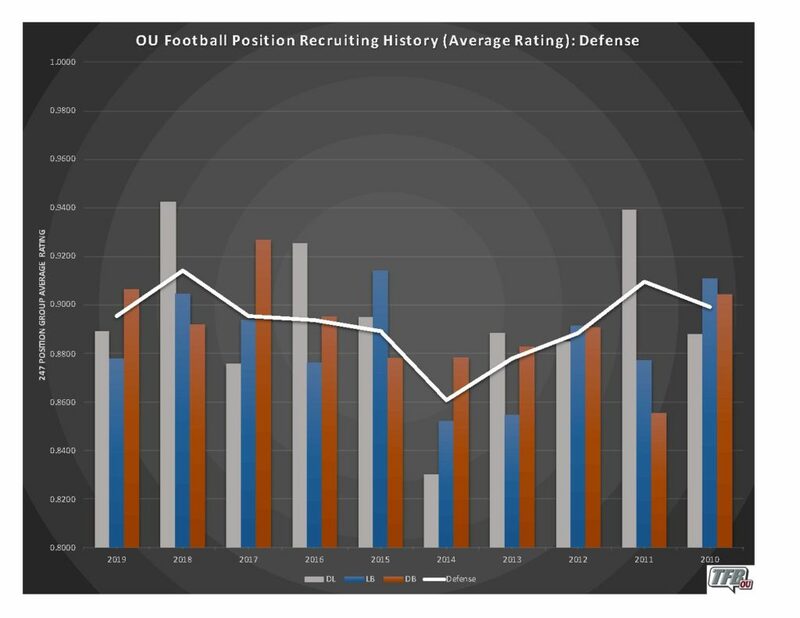 Higher bars mean more highly-rated recruits, so the offense is doing way better, right? Well, sort of. One thing to keep in mind is that the quarterback (and occasionally the running back) categories often have one player per class. Therefore, just because one or two position groups look high doesn’t mean that the entire side of the ball will end up around there. The red and white solid lines are indicators of how the entire class is rated on offense and defense. These lines use the average rating of the ten or so players on either side of the ball each class to determine the overall rating. Comparing those two lines lends a new perspective. While the 2019 class currently has the largest spread between offense and defense of the past ten seasons, in general the lines are fairly close. In fact, in four of the ten recruiting classes (2018, 2016, 2015, and 2011), the average rating of the defensive recruits was actually higher than that of the offensive recruits. The recruiting classes of 2015-2019 will be on campus next year: three of those five classes had a higher average rating on defense than on offense. So what gives? This data shows that the talent on defense, while probably generally lower than the offense, is remarkably close. With that in mind, how is the offense outperforming the defense so dramatically? While in-game coaching is a large part of it, development is the answer I tend to point to. For this discussion, I’ll use an analogy that simultaneously builds up OU and puts down Texas. The first ten or so years of Bob Stoops’ time in Oklahoma saw some great teams and some great recruiting classes. Even still, in general, Texas often had higher-ranked recruiting classes during this time. Despite this, OU was winning Big 12 title after Big 12 title, regularly stomping Texas, and appearing in several national championships. One of the biggest reasons, in my mind, was development. Papa Lewis (my father) was often quick to point out during the time that players got to OU and got better, while Texas couldn’t seem to produce on the field even with its four and five star players. Let’s fast-forward to today. On offense, a large number of highly ranked players get to OU and are stars. Then again, the offense has a habit of using the players at its disposal and turning them into stars, regardless of their beginnings. The 2017 offense was led by a former walk-on (Baker Mayfield) who went on to win the Heisman and become the first overall pick in the NFL Draft. A former three-star lineman (Orlando Brown) just finished his NFL rookie season as a starter. Of the top five receivers of 2018 by yards, one was a walk-on (Morris) and one was a three-star fullback (Meier). Cody Ford was a former three-star lineman; he’s projected to go in the first round of the upcoming NFL Draft. 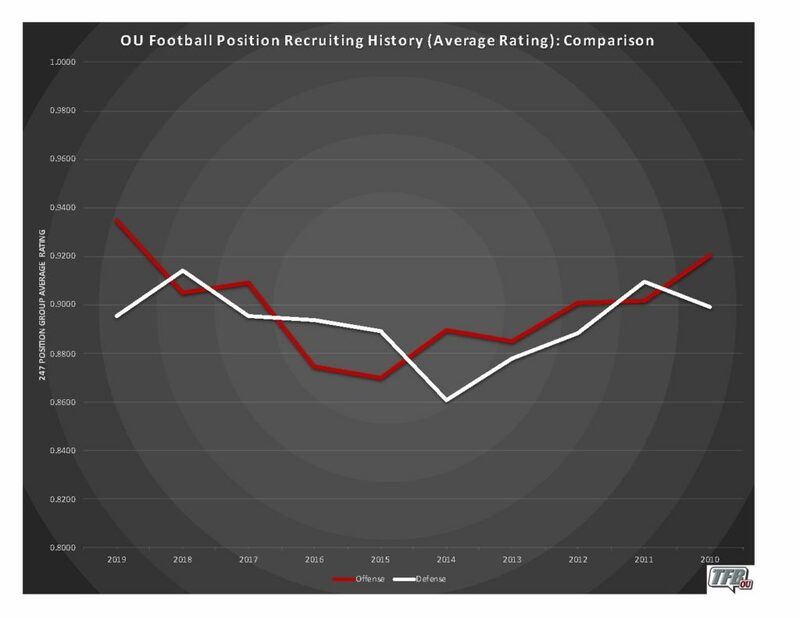 The point is, no matter the perceived talent level of a player, several years in OU’s offense seem to do wonderful things for a player’s development. Do things always work out for offensive players? Of course not, but the trend is overwhelmingly positive. Defensively, however, the story is a little different. Bookie was the highest-ranked defensive recruit for OU last season; his season was a much-maligned one. Caleb Kelly, the highest-ranked Sooner recruit on either side of the ball in 2016, didn’t play for much of the 2018 season. While some fans tend to say that the reason is that the players weren’t ever very good, it seems hard to believe that players with offers from every major school arrive in Norman and magically don’t produce at the expected level. If it’s not already clear, I just don’t believe the defensive struggles have their roots in talent. Is the talent on the same level as, perhaps, Alabama? No it’s not. However, it is plenty good enough to finish better than 108th in the country in yards/game given up. Lincoln Riley is trying to build a culture on defense, similar to what he has on offense. The staffing changes are being made with that in mind; he wants to have a program that produces championship-level teams on an annual basis. If the new coaches can develop the defensive players half as well as the offensive staff has been developing its players, OU’s Playoff woes will be a distant memory.